Green cell phones are the topic of today’s Eco high/low. While green is a relative term here, alternate ways of charging your battery are emerging with more of an environmentally friendly spin. While this has yet to really gain traction, here are two options fairly new to the market, one an a uber chic (and most likely uber expensive) mechanical offering, the other a techno-savvy, but simple low cost design. Created by a very well know watchmaker, the Chairman is an attempt to meld the complex mechanical movements common with old world style wristwatch artisans, with the newer high technology phones. With today’s youth choosing to go watch-less and instead depending on their cellphone clocks to provide them with the time, watchmakers are beginning to see the effects. Cellphones have become the new accessory among today’s youth, making other timepieces obsolete. 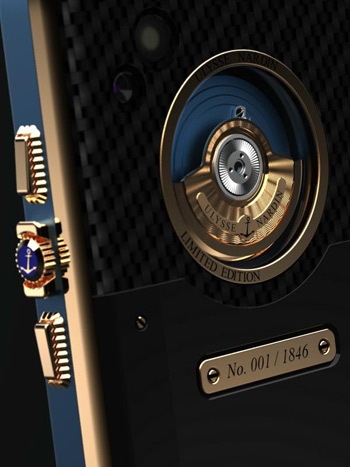 Leave it to Ulysse Nardin to capitalize this market with the introduction of a new cell phone bling unlike any other. It is ingenious in its own right, since most carry our cellphones in pockets or bags which are constantly moving while we walk, it provides the perfect charging mechanism. Since we are using kinetic energy to charge these phones, it is incredibly green, requiring no emission producing electricity. No word on cost, but with Ulysse Nardin watches priced in the thousands, and limited production numbers, I wouldn’t expect to see these at Best Buy. Technology in alternative energy generation is improving, and that good old crank style generator is becoming easier and more efficient. These devices provide reliable power generation to recharge your cell phone battery with a few minutes of winding everyday. It is really the same concept as the kinetic device, but you are just doing all the winding at once by hand. If you have ever used one of the newer LED crank-style flashlights, you will know how relatively easy it is, and how long just a little bit of work lasts. 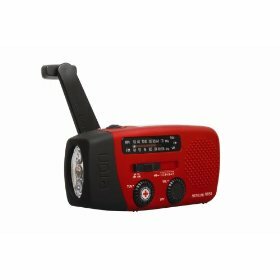 As a bonus, most of these double as radios and/or flashlights, making them great to have around for power outages, emergencies and such. With prices ranging from $20-$80, it really is a bargain to be green.